All roads lead back to the Cheltenham Festival for veteran Josies Orders after he went one better than 12 months ago in the P.P Hogan Memorial Cross Country Chase at Punchestown on Sunday. After finding stablemate Auvergnat too strong in the three-mile-one-furlong contest last year, the Enda Bolger-trained 11-year-old gained compensation when defeating Hurricane Darwin by two lengths to claim the 10th victory of his career. 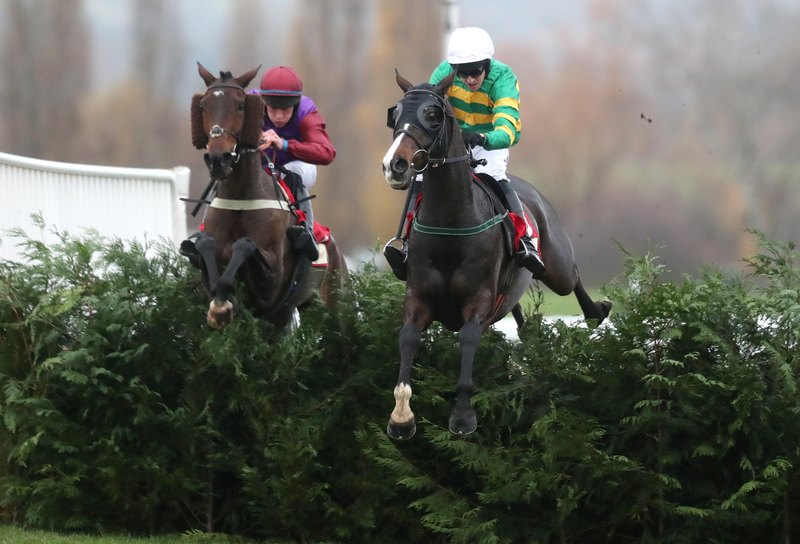 The JP McManus-owned gelding was cut from 7-1 into 11-2 by Paddy Power for the Glenfarclas Chase at the Festival which he won in 2016, while William Hill left him unchanged at 8-1 for the same race. Bolger said: “You probably know where we are heading! He stays well and sees it out, and we’ll try to keep him in one piece now for March. “They weren’t bad horses in it this year, it was a good test and the timing is just right. Riders Onthe Storm could also be bound for the Festival after Tom Taaffe’s charge made the most of a drop from Grade One company with a length-and-a-quarter success in the Richard Maher Memorial Rated Novice Chase. Bryan Cooper said of the 2-1 winner: “It was a good performance and after his run in Limerick, he was entitled to do that. It rode a good race with a strong gallop and it suited me. “The winning margin could have been a bit better as he pulled up a bit in front. He’s going the right way, and you would learn more in one of these races than you would in a beginners’ chase. Take Revenge brushed aside trainer Martin Brassil’s ground concerns when going one better than on his last visit to the track in the Punchestown Festival Ticket Deal Discount Maiden Hurdle. Brassil said of the 4-1 winner: “We were delighted with his run here the last time and kept it in mind that we might as well go back to where he ran well. Dinny Lacey (7-1) from the yard of James Motherway got up by half a length to take the Punchestown Festival 30th April to 4th May INH Flat Race, while Denis Hogan’s Lady Writer (7-1) took the David Trundley Artist at Punchestown Handicap Hurdle.